Managerial Economics is both a challenging and a rewarding subject. Managerial Economics, Business Economics, Economics for Business and Management or Economics of the firm are the synonyms of courses commonly designed in Applied Economics under the curriculum of management studies. 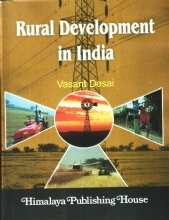 This book caters to such common need of the subject taught in Management Faculties of the Institutes and Universities in India and other developing Asian countries. 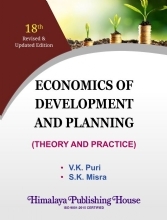 In this volume, Dr. Mithani in his intimate style presents a comprehensive and lucid exposition of the theory and tools of managerial economic analysis with their practical applications. 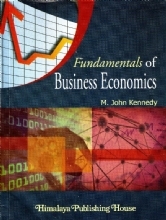 His approach provides a unique integration of cases and the text in a meaningful way to understand real business economy. 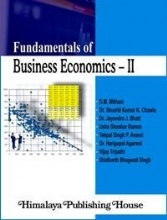 The book will have utility for the students of Master`s courses in management studies [MBA, MMS, M.Sc management, etc.] as well as professional courses in engineering, public administration, banking, etc. and competitive examinations like C.A., CFAI, etc. In this edition, the UGC Model Curriculum 2002 for M.Com. 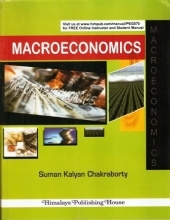 (MC 1.3 Managerial Economics) is covered. 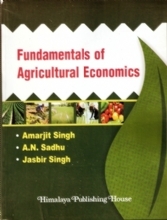 It can also be used by undergraduate students of commerce and economics in a selective manner. Professor D.M. 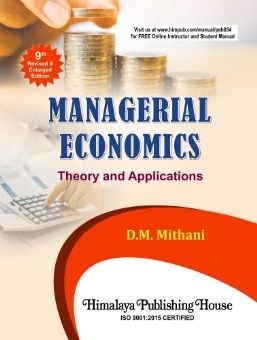 Mithani has a Masters Degree in Economics and a Ph.D. in Banking and Finance from the University of Mumbai. Dr. Mithani has teaching experience of over five decades serving in India at the University of Mumbai and the Narsee Monjee Institute of Management Studies (NMIMS), Mumbai, besides his long-term association with the Universiti Utara Malasiya (UUM) at Malasiya and the Prince of Songkhla University (PSU) (Hatyai) and Thaksai University (Songkhla) at Thailand. He is also Adjunct Professor at Oriental Institute of Management, Vashi, Navi Mumbai. He was an elected member of the Executive Committee of the Indian Economic Association during 1988-1994. He is also having a honoured position of being an Professor Emeritus at the L.J. Institute of Business Management. Dr. Mithani is a prolific writer. He has contributed widely to many journals, national and international seminars and conferences. 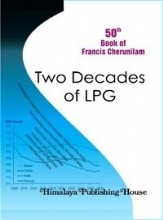 He has published over 50 books in the field of Economics and Management. His latest publications include: Beyond Rhythms of Management, Management Economics, International Economics and Global Trade and Finance.